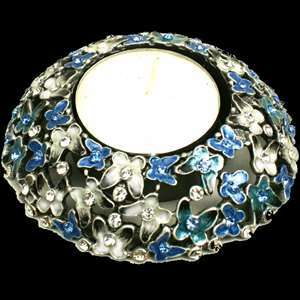 Size: 3.5" x 3.5" x .75"
Short candle holder for tea light. Jewelled metal. Gift boxed.